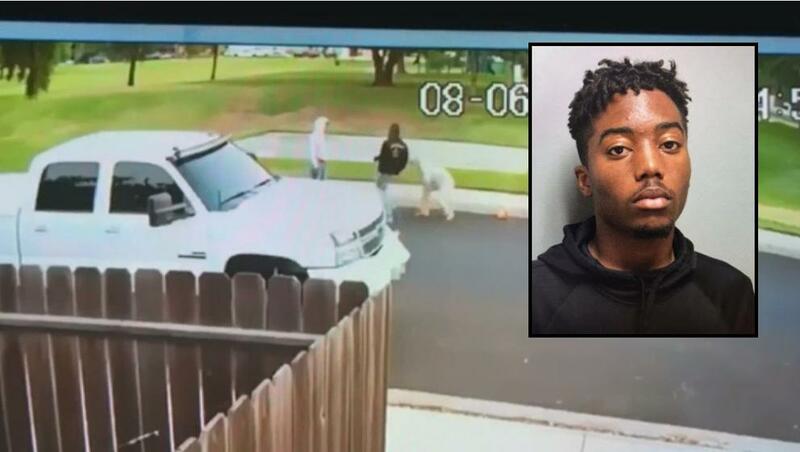 California Police Chief's Son Assaults 71-Year-Old Man, "Not A Hate Crime"
The son of the Union City Police Chief in California has been arrested for assaulting a 71-year-old man. The victim was walking along a park in Manteca when he was attacked by two men Monday. One of the attackers was identified as 18-year-old Tyrone Keith McAllister, the "estranged" son of Union City Police Chief Darryl McAllister. The other assailant was a 16-year-old boy, both were taken into custody and transported to jail on charges of attempted robbery, elder abuse, and assault with a deadly weapon, according to a statement from the city of Manteca Wednesday. Union City Police Department also released a statement saying Chief McAllister is "devastated by how much the nature of his son’s actions are such a departure from everything he has stood." McAllister and his wife both worked together to help police locate his son. The crime is being treated as an attempted robbery and not a hate crime, although police did not offer details as to how they made that determination. Video from a nearby security camera caught the incident on video and shows one of the assailants kicking the elderly man who falls back and hits his head. When he tries to stand up he is kicked even harder and falls backward again. "The Union City Police Department has received inquiries about whether one of the two perpetrators of a violent robbery of an elderly Manteca man yesterday is the son of Union City Police Chief Darryl McAllister. Chief McAllister confirmed that his estranged son, Tyrone Keith McAllister, is one of the two suspects arrested. Chief McAllister’s status as a law enforcement leader has no bearing or relation to the case whatsoever, but he is devastated by how much the nature of his son’s actions are such a departure from everything he has stood for in his personal life and 37-year career of compassionate, engaging police work. He and his wife worked with Manteca PD to help track down and arrest Tyrone this morning, as Tyrone has been estranged from the family and their home for some time. Chief McAllister expresses deep concern for the victim and the victim’s family and he remains steadfast that his son, an adult, must be accountable for his actions."